Free Shipping Included! 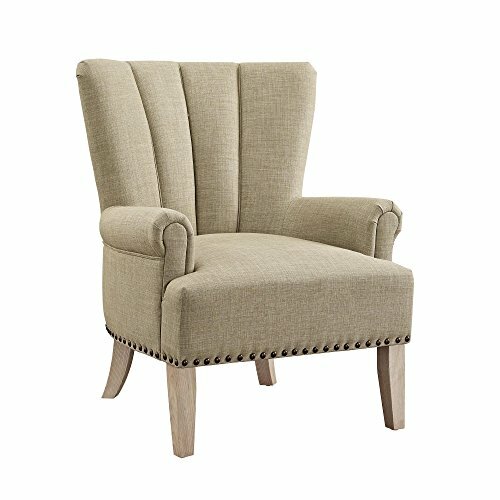 Save 1% on the Dorel Living DL7201-BG Accent Chair, Beige by Dorel Living at Indsight. MPN: DL7201-BG. Hurry! Limited time offer. Offer valid only while supplies last. The Dorel Living Accent Chair is upholstered in a soft linen-like fabric that is complemented by the natural rustic finish of the solid wood legs. The Dorel Living Accent Chair is upholstered in a soft linen-like fabric that is complemented by the natural rustic finish of the solid wood legs. The front facing roll arms are nicely padded, as are the chair seat and back. The modern vertical channel-back design and the individually set nail head trim add to the trendy yet timeless look of the Dorel Living Accent Chair. Add extra seating to your home's living room, bedroom, or den with this beautiful Accent Chair.